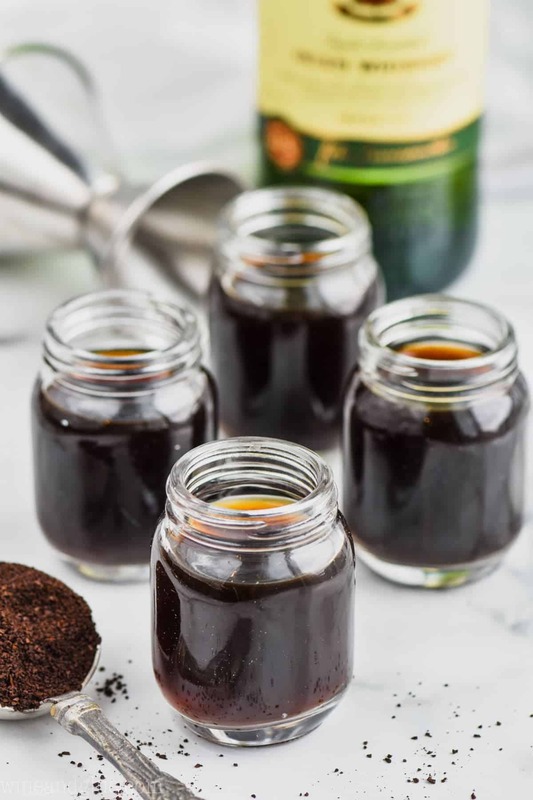 If you love Irish Coffee but sometimes need an extra jolt of the good stuff (and I’m not just talking about caffeine) then these Irish Coffee Shots are going to speak right to your heart. They will never cease to make you happy, and come together in just a few ingredients. I adore a good Irish Coffee recipe. The rich whiskey and strong coffee are a can’t-be-beat combination, but versatile enough to a little something extra… like in this Salted Caramel Irish Coffee! But every now and again you just need something a little, I don’t know…stronger. 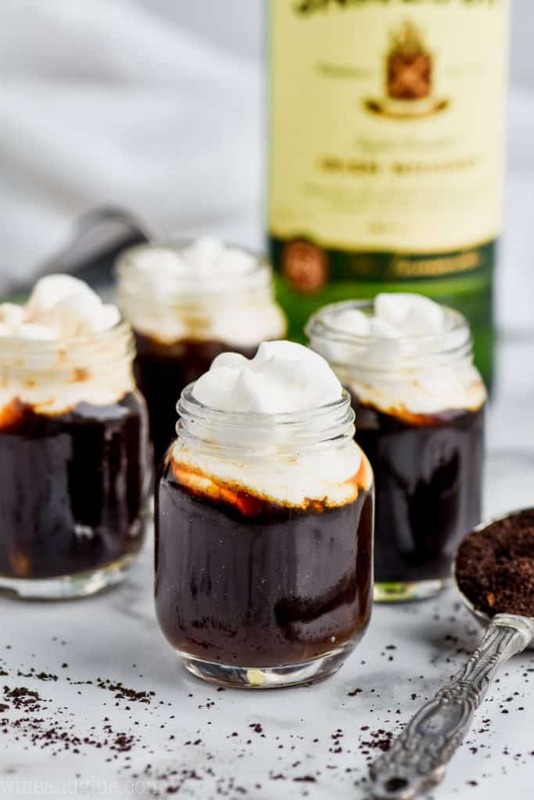 These Irish Coffee Shots are like an espresso to your regular java. Stronger, stiffer, and here’s the best part–super simple to make! Boil up some water. Easy peasy. Then add your favorite instant coffee and some brown sugar and stir to dissolve. Next, fill four two ounce shot glasses about halfway with the coffee mixture. Top with rich Jameson Irish Whiskey and a hefty amount of glorious whipped cream. 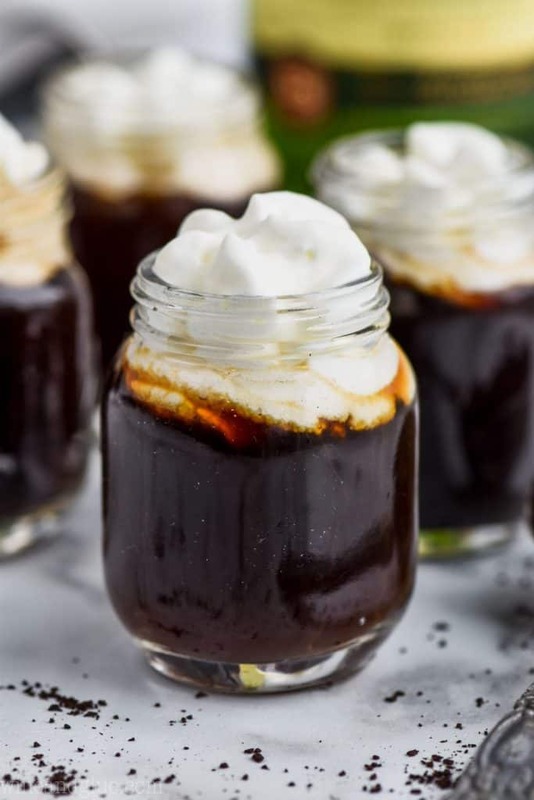 These Irish Coffee Shots are a mixture of espresso, brown sugar, and Irish Whiskey! 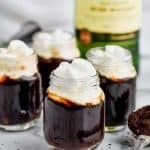 Your favorite Irish Coffee recipe in shot form! Heat up the water until boiling. Stir in the instant coffee and the brown sugar. 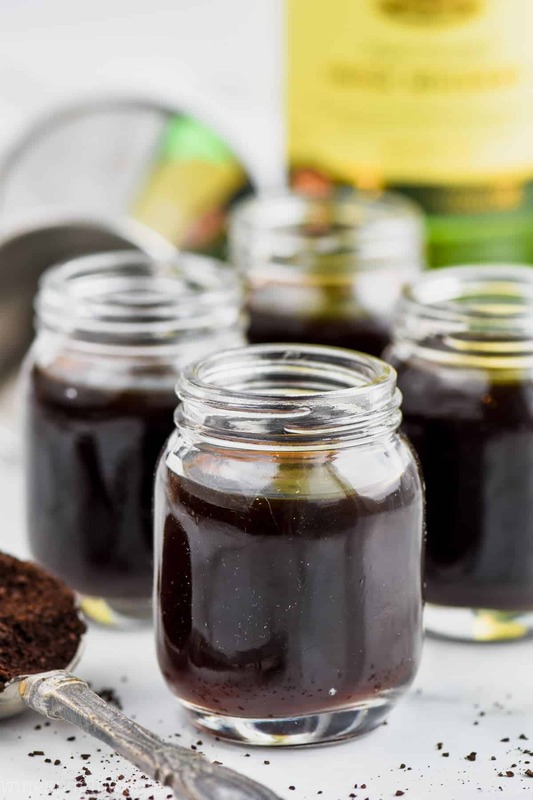 Fill 2 ounce shot glasses half way with the coffee and sugar mixture. For a less strong drink, fill 3/4 full. 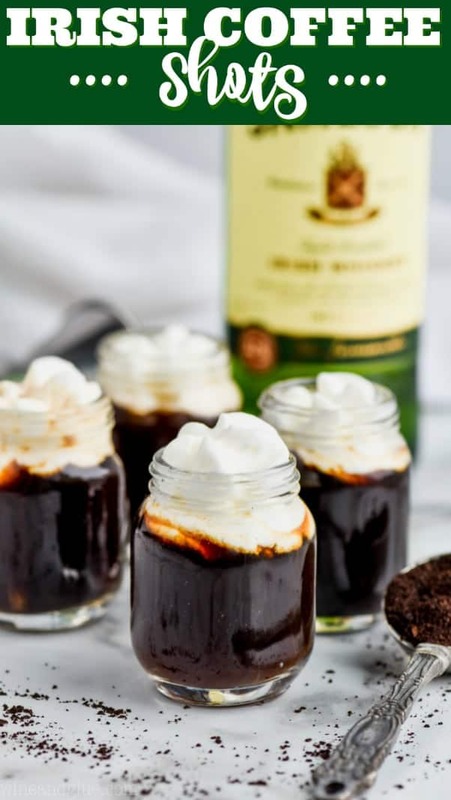 Top the shot glasses with Irish Whiskey and then with whipped cream. Thanks for sharing such a beautiful article for us. A true coffee lover knows the value of one cup of coffee. I’ve been seeing coffee with alcohol recipes lately and I’m really tempted try it so soon! This Irish coffee looks so refreshing. 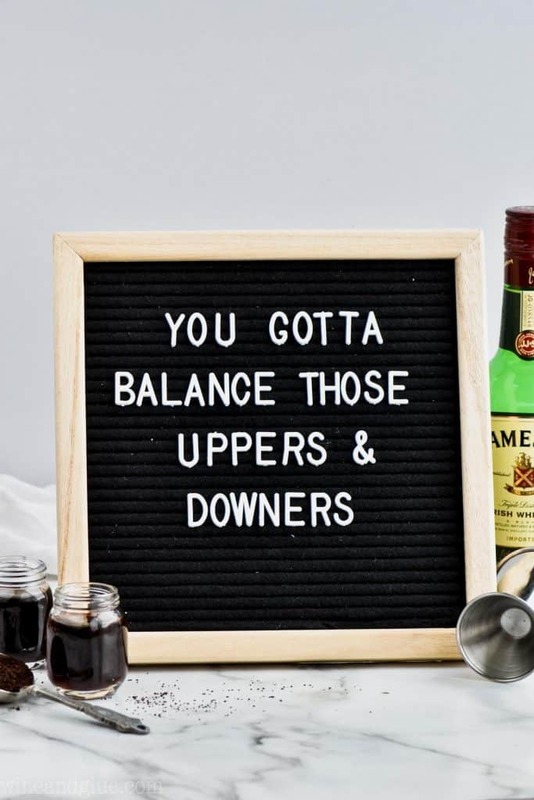 Not that I’m a coffee addict, or maybe I am, but I would really love to try all the coffee and alcohol recipes out there!